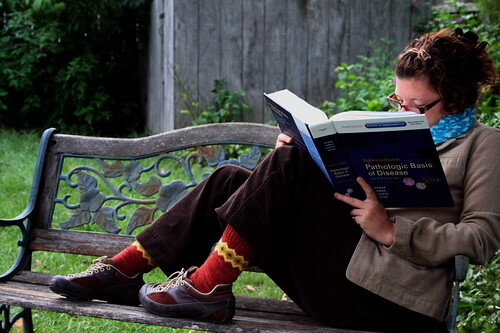 All of my favorite knitting books follow the people’s history of the craft. 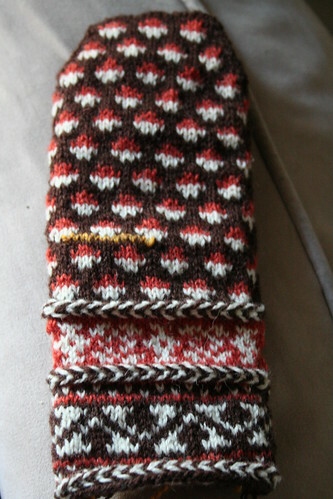 Michael Pearson’s Traditional Knitting is, as far as I’m concerned, the best social history of knitting ever written. Nearly all the others on my list of top knitting books are primarily concerned with mittens: Latvian Mittens by Lizbeth Upitis, Folk Knitting in Estonia by Nancy Bush, Selbuvotter by Terri Shea, Mostly Mittens by Charlene Schurch, Folk Mittens by Marcia Lewandowski, Magnificent Mittens & Socks by Anna Zilboorg, Favorite Mittens by Robin Hansen. 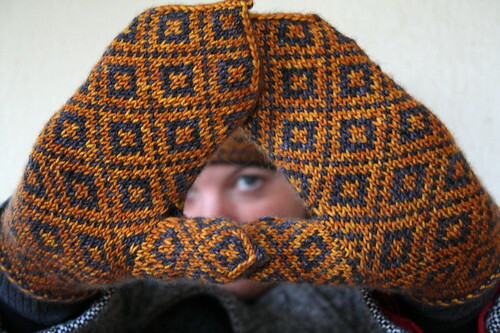 And what about the Ukrainian folk story, The Mitten? 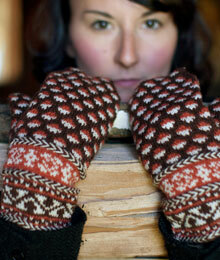 I love mittens with a story, don’t you? 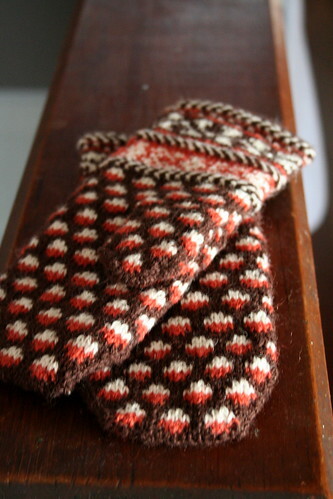 Mittens are the most fascinating article of knitted apparel because no matter where they come from, they always seem to reflect the cultural and religious values of those who wore them. 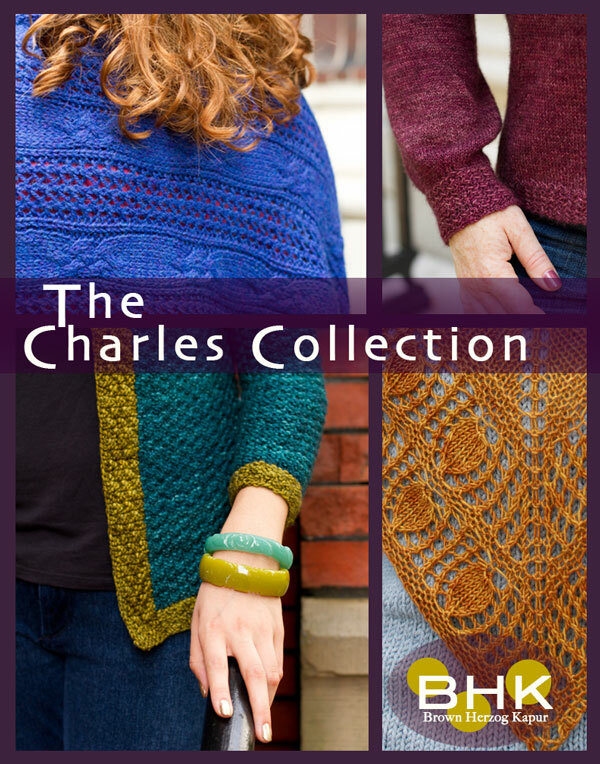 As contemporary knitters, we have lost track of the tradition of our craft. 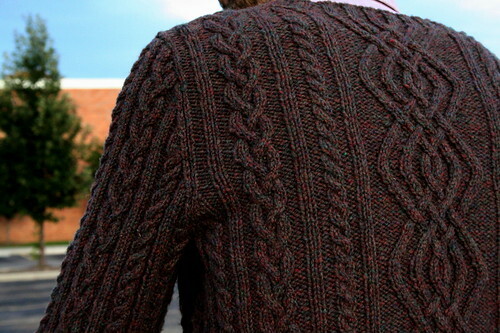 We knit for enjoyment, for fashion, to make gifts for friends and family; we drift from stockinette to cables to fair isle and back again, dabbling in all sorts of styles and techniques along the way with little regard to those who came before us. 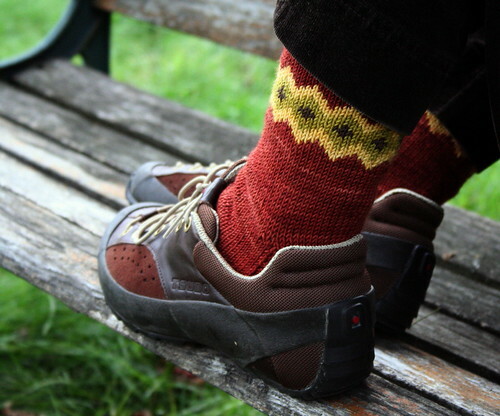 People like Lizbeth Upitis and Nancy Bush bring us back to the roots of our craft with their research in the folk art of the humble mitten. 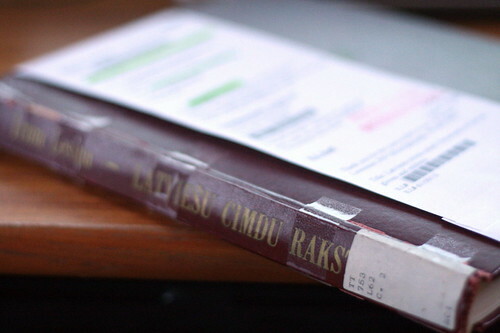 Last winter, while rereading Lizbeth Upitis’ book, I followed a footnote to the text Latviesu cimdu raksti. 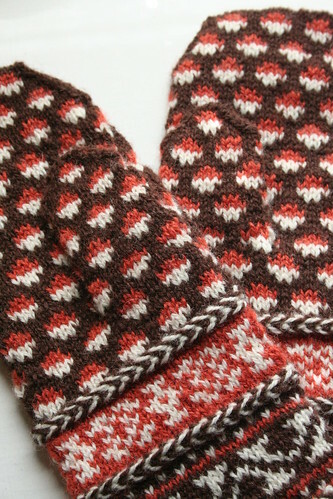 Ornaments in Latvian gloves and mittens, by Irma Lesina, a text Upitis noted had many wonderful plates of mitten designs. Published by a small Nebraskan press in 1969, the book was long out-of-print. In fact, there were so few copies left in circulation that it took my university’s inter-library loan service a month to track down a Canadian copy for me; needless to say, it was most certainly worth the wait! 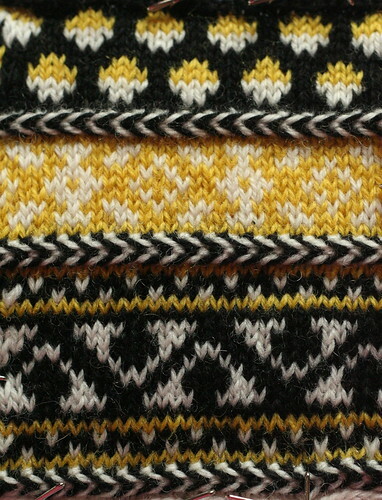 I pored over hundreds of traditional designs from Kurzeme, Latgale, Vidzeme, and Zemgale, recharting many stitch patterns that interested me. I created a large Excel file of stitch patterns, mixing and matching different ones as I went along. I remained faithful to regional distinctions, trying only to pair up patterns originating in the same region. 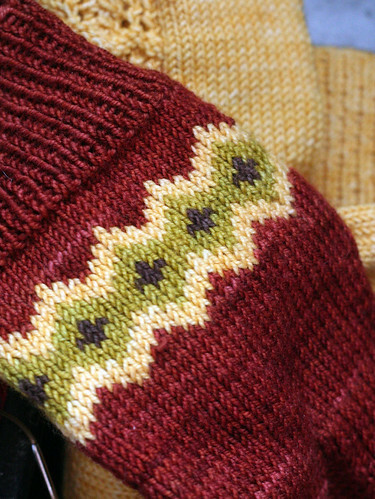 My Forest Mushroom design in Twist Collective Winter 2010 (Ravelry link) is one of the fruits of this lovely labor, combining several different motifs from the Kurzeme region of Latvia to be knitted with more contemporary colors at modern gauges. 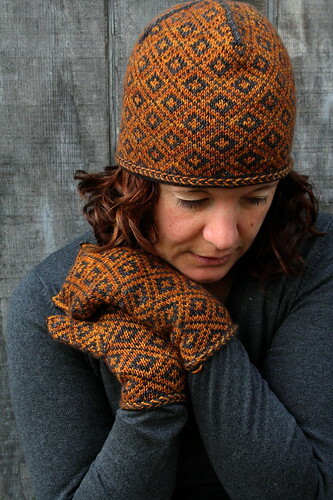 The cuff is elaborately detailed and includes three distinctive brown and white braids before breaking into the mushroom-like pattern of the upper mitten. 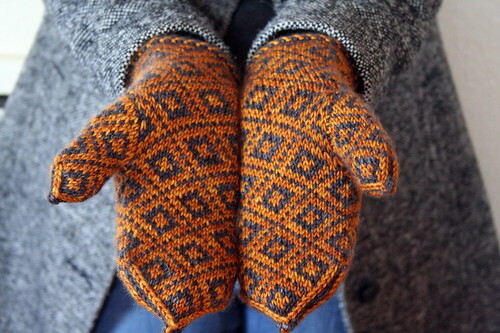 Unlike a traditional Latvian mitten, the top rounds off instead of coming to a hard point. 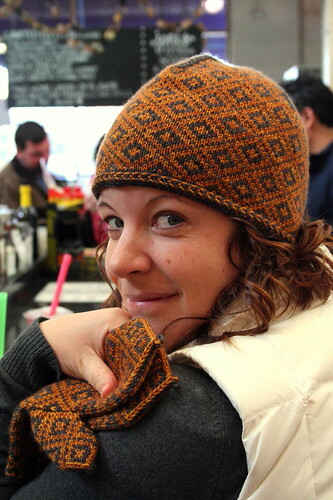 The peasant thumb is placed with waste yarn and knitted in the mushroom pattern to blend in with the mitten body. 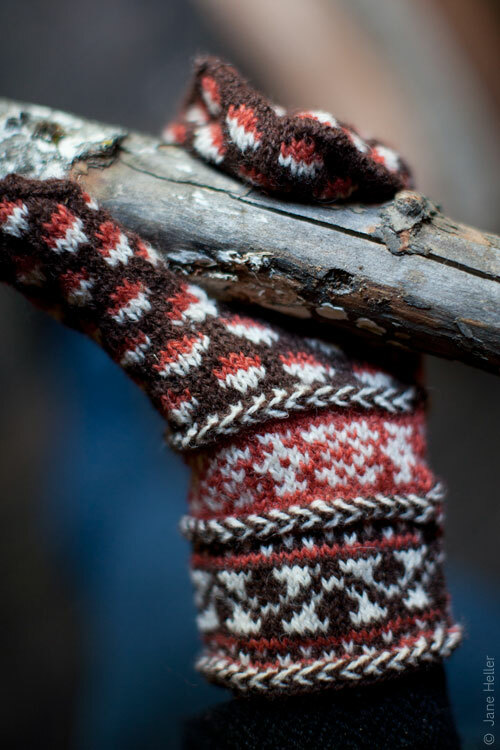 Some designs you love more than others and these are one of my favorites; they combine everything I love about knitting: gorgeous colors, Latvian braids, long mitten cuffs, and old, complex, crafting traditions. 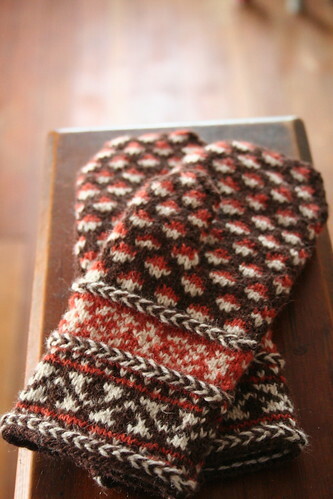 Every knitter needs to make a pair of Latvian mittens in his or her knitting life, perhaps these will be yours! 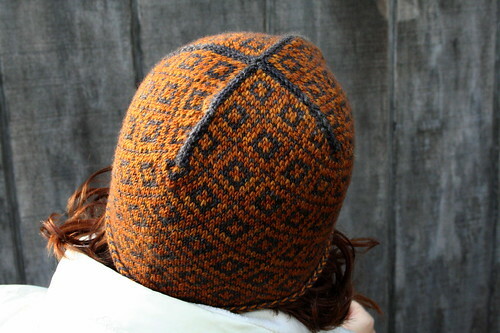 The pattern is available at Twist Collective for $6.00.